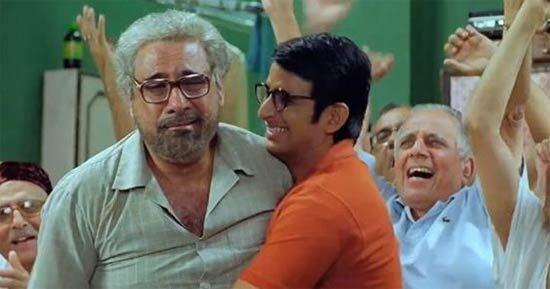 Sharman Joshi and Boman Irani are visibly excited about their forthcoming film Ferrari Ki Sawaari. Directed by debutant director Rajesh Mapuskar, the movie is about a father, a son and the journey they emabark upon to achieve some dreams. This is also Joshi's first film as a solo lead in his 13-year-long career. It is a first of sorts for Irani too who plays a grandfather for the first time on the screen. Joshi and Irani get witty as they look back on and share their experience of working on the film as Rediff.com's Sonil Dedhia takes notes. With the increase in petrol prices, did Ferrari Ki Sawaari (FKS) prove to be a costly affair? Boman: You see, the Ferrari goes very fast so we would reach a place quickly and would use less petrol (laughs). Sorry, I guess that's a bad answer. Sharman: No, it's a good answer, Boman. Boman: Actually, Sharman did not do a lot of retakes with the Ferrari so we saved a lot of money. So was that the first time you went on a spin in a Ferrari? 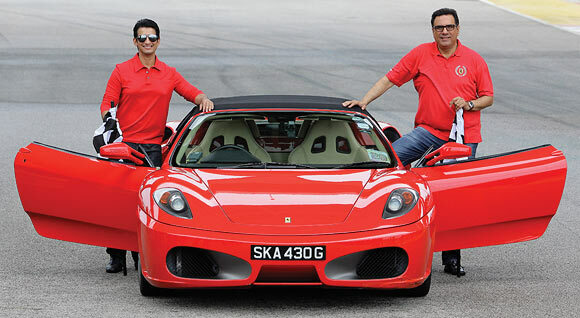 Sharman: I have not shared this with Boman, but this was the first time that I have driven a Ferrari. It was quite an experience. Initially I felt it was just a big noise people make about a Ferrari. When I stepped into it and drove near Mount Mary Church in Bandra in suburan Mumbai, it really surprised me. Boman: My relations with Ferrari go back a couple of years. I have never driven one but I sat in one of them. It was Michael Schumacher's Formula 1 car which was in a showroom in Milan, Italy. They had a promotion offer going where if you buy something from the store they allowed you to take a picture with it. My son told me to sit inside and once I sat I couldn't come out of it! Sharman, tell us about Boman's character and Boman you tell us about Sharman's character in the film. Sharman: Boman is playing the character of my father in the film. He is not very happy in his life and you will see his enlightenment through the journey of the film. Boman: Sharman plays an honest and ideal father. To fulfil his son's dream of playing at Lord's cricket ground, Sharman's character performs the first small act of dishonesty in his life. His character is not only a father but also a mother to the kid. Sharman: Sorry to interrupt Boman, but I remember once you told me that 'Ab tak Maa ki filmen bahut bani hai but I guess yeh pehli father oriented film hain' (There are lot of films made on mothers but I guess this is probably the first father-oriented film. Boman: I am sure after watching the film people will start saying 'Mere paas Baap hai' (laughs). Sharman: In my humble opinion, it is Boman's finest performance to date. He is just special. The film is about a relationship between father and son. Tell us about your relations with your respective fathers. Boman: I never had a father in my life so I don't have any memories of him. But there is a wonderful line that I say to my grandson in the film, 'Agar mera baap tere baap jaisa hota toh main bhi aaj duniya main kuch hota' (if my father had been like yours, even I would have made something of myself in this world). I guess this is the greatest compliment you can give to fatherhood. Sharman: Let me give you a personal anecdote. I remember when I was in school I was really tense as I had a maths paper. I thought I would fail. My father asked me to go for a little stroll with him. We walked silently for 15 minutes. On our way back home my father broke the silence and told me 'I will be proud of you irrespective of your results, so relax and give it your best shot'. I can't tell you how relaxing the thought was and I passed with some good grades in my paper. Boman, was FKS another Vidhu Vinod Chopra film that you wanted to be a part of? No, that's not the case. I loved the story. The story is so wonderful. For me a character means nothing if the story is not great. Whatever the character does is based on the film and its script. There is a very positive approach in the film. The kind of pedigree (a Vidhu Vinod Chopra production) where FKS is coming from has a wonderful feeling. What made you become part of the film, Sharman? I just loved the script. It's just a small love story which blossoms and goes into a huge scale. It's a journey which I wanted to be a part of. The entire process of making this film has been like a dream. The film, the characters and the physical setting, everything, seems to fall in place when you see it. Moving ahead, Vidya Balan's lavani has become the talk of the town. 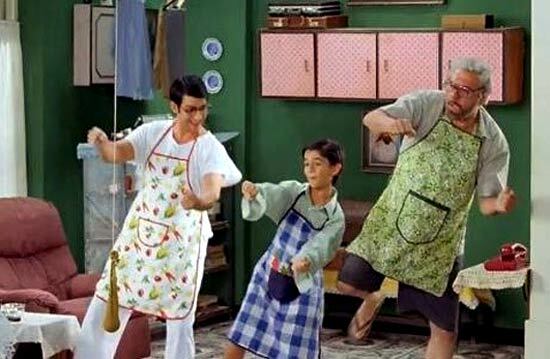 While we can see Sharman in the song, Boman, did you miss shaking a leg with Vidya? Boman: I am okay with it because I shake my leg once in a while. I didn't want to take the limelight away from Vidya Balan so I just said 'Mala jau de' (winks). Sharman: I was fortunate to shake a leg with Vidya. Let me tell you it's not an item song. It was part of the script right from the start. It's a lavni song and director Rajesh Mapuskar did a lot of research on it. I remember one fine day when Rajesh suddenly called up Vidhu (Vinod Chopra) and asked him whether it was possible to get Vidya to do the song. Vidya Balan is absolutely scintillating in the song. How was the experience of working with Rajesh Mapuskar who is directing his first film? Boman: I've known Rajesh for the last 15 years. He used to be in the production team in some advertisements that I worked in. Rajesh has a funny bone. The wonderful part about this film is that when you see it you will realise that neither Vidhu nor Raju Hirani has any influence on the film. It is completely Rajesh's film and he has made it in his own space. He is a wonderfully warm and emotional person. Sharman: It was torture and traumatic to work on the film (laughs). Rajesh really made me earn this role. He took around 30 to 40 auditions over three-four months before I was selected. I am proud of it. From the physical look to the emotional side of it I had to slog a lot. Fortunately, I have a sharp nose like most Parsis. We had to work on the hair and used spectacles and I had to put on around 10 kilos. Boman: He did 30-odd auditions and they kept on testing him which may have helped him. After watching a couple of auditions I told Rajesh, 'what you are waiting for?' He asked for my opinion and I immediately told him to bring Sharman on board. Honestly, I couldn't look beyond Sharman Joshi. You started your careers almost at the same time. What do you think of each other's career so far? Boman: Sharman is one of the finest actors in our industry. I am a big fan of his since Style in 2000. I normally feel strange calling up someone and complimenting them on their performance but I did call Sharman after watching his performance in Rang De Basanti. He was just amazing in the film. 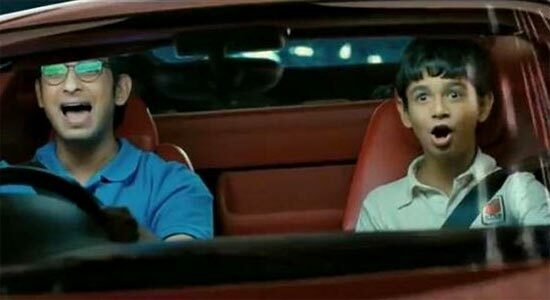 Then he did 3 Idiots in which he had some standout moments. With FKS he has developed as an actor even more, and secondly, this film has brought out a full range of emotions from him. I guess he has got the opportunity to show it and he has grabbed it with both hands. The interval drop scene is just amazing in the film and you have to watch it to believe it. Sharman: Thank you Boman for praising me so much; you will receive your money (laughs). On a more serious note, Boman gave a stunning performance in Let's Talk and from there he has given memorable performances in film after film. I am not promoting FKS but believe me, Boman is outstanding in the film. I would love to watch Boman in the film. Boman: I agree with him (laughs). I don't like to see myself on screen. It is other people who empower me; if 10 people praise your performance you have to believe it. I always crib and am critical about my performance. Sharman, this is your first solo lead; how important for you is the success of this film? Sharman: I think FKS will be a turning point in my career. It's a very important film for me. I have been a part of the journey for a year-and-a-half and I almost feel like I have got a degree in acting. It's been a fulfilling experience. As an actor I couldn't have asked for a better role. It's a dream role and I am feeling very good about it. Let me tell you, when I am breathing my last and I am with my friends and family and they ask which is that one film you would want to watch that you'd be proud of, it is Ferrari Ki Sawaari that I would opt for (smiles). Boman: The film is carried very responsibly on Sharman's shoulders. He may look at it as a great responsibility but at the same time, he has taken the responsibility as a challenge and he has done a great job.